This past summer my wife and I were camping by ourselves – our grown children had visited and left so we had a couple of nights alone. We like to sit by a campfire but unusually dry weather dictated a burn ban, which relegated us to sitting and reading by a pair of lanterns on a picnic table. Then a dragonfly appeared from the darkness and started to clatter between the lanterns. It didn’t actually make contact with the glass like fluttering moths often do. It buzzed back and forth, sporadically landing on mugs and pans, and other bits of camp clutter. I happen to like dragonflies. Their ability to hover motionless except for the nearly invisible whir of their wings has always fascinated me. I am told they can bite but that’s never been my experience. I attempted to capture the insect with a pair of cupped hands and take it out in the brush, away from the light. As my children will tell you I lack the hand-eye coordination to actually pull that off. My wife retreated to our tent trailer, away from the ruckus. She was not a fan of the large bug. I gave up on the rescue attempt and returned to my book. Then the dragonfly landed on the end of my nose. It didn’t hurt, but their legs have a claw at the end and there was a definite sensation of being grappled. And they appear quite large when viewed from so close. I was startled. 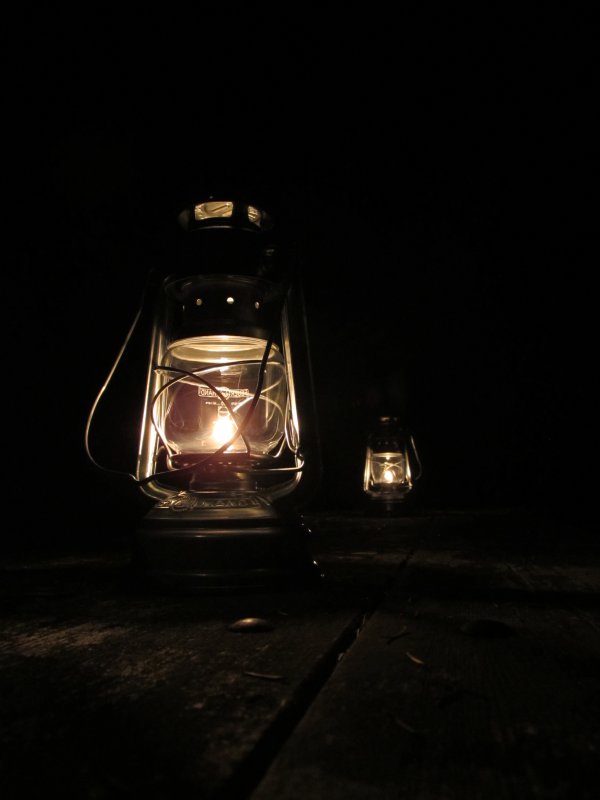 I sat up abruptly and the insect zipped back to darting between the lanterns. I finally trapped the beastie under a plastic bowl and successfully escorted it out of our camp. If it survived the night it could resume hunting other insects in the daylight. Some months ago we were dislodged from our moorings in a faith community that we had been committed to for nearly thirty years. Since that point I feel like I have been rattling back and forth between various churches – a bit like the dragonfly I rescued. I am told this is what’s called a liminal, or “in between” space. A place to wait and find a better place. I don’t much like it. Mostly what I feel is a needing a safe place to be. Not some random place in the in the dark like where I placed the dragonfly, but a quiet place to rest and regroup.